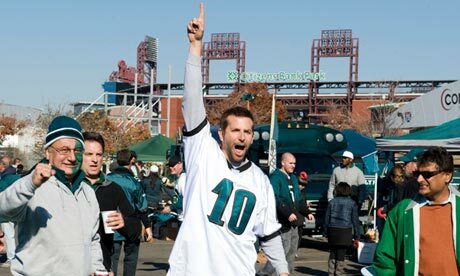 Silver Linings Playbook, based on the book by the same title, is a comedic drama about Pat Jr.(Bradley Cooper), a man who is signed out of a psychiatric facility by his senior-aged parent; his stay due to committing a violent assault. Pat is a deeply disturbed man who is determined to stay positive and find the “silver linings” to his unfortunate situation. When Pat enters his parent’s home, the audience starts to understand the underlying reasons for his troubles. His father, Pat Sr. (Robert De Niro) has an undiagnosed OCD disorder and is heavily superstitious. Pat Sr. rebuffs Pat Jr. for his plan of reading his estranged wife’s books and exercising while wearing a garbage bag to become a better man, but will not recognize his own mental peculiarities. Pat Jr.’s mantra of Excelsior! helps bolster him to deal with his psychic pain, even when his efforts seem misguided. Pat Jr. is introduced at a very awkward dinner party given by his unhappily married friend Ronnie, to a young widow named Tiffany (Jennifer Lawrence). Tiffany is also a troubled soul, due to her husband’s sudden passing. Ronnie and his wife believe that due to the pair’s similar problems, forming a friendship could help them break free from their psychic restraints. Their plan is not fool-proof, as Pat Jr. and Tiffany clash on many issues. Pat Jr. wants to jog alone; Tiffany practically stalks him on his route. Tiffany wants Pat Jr. to help her with a project and he is unreliable. Their contentious back-and-forth helps them to work through their personal struggles, while opening them up to new possibilities about their own capabilities and wants. The supporting cast in this film is fantastic. Robert De Niro gives a performance that is reminiscent of his best work from years past; he is amusing and sincere, never phony. Jacki Weaver playing Dolores, Pat Sr.’s wife, delivers frenetic comic relief. Chris Tucker, in his first role in years, is endearingly funny as Pat Jr.’s friend Danny from the psychiatric hospital in which they were both treated. Cross-over Indian actor Anupam Kher is the steadiest character in this film, playing Pat Jr.’s psychiatrist which compassion and lightheartedness. 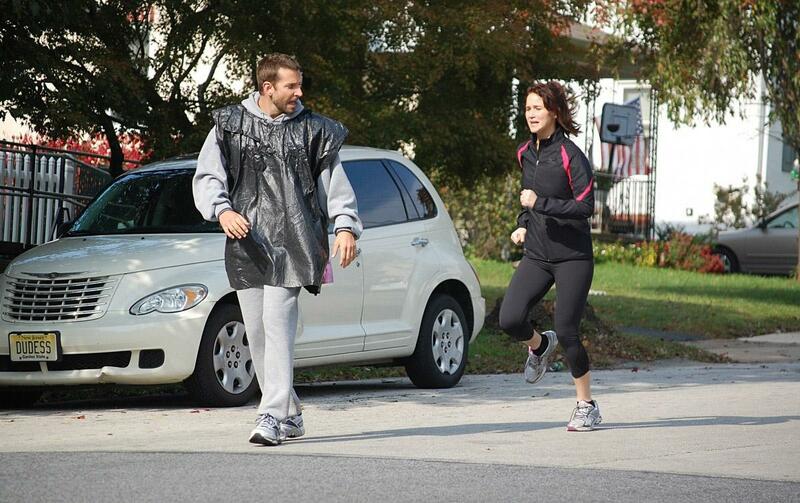 The collectively strong cast, chemistry between Cooper and Lawrence, and eccentric but never sappy plot makes Silver Linings Playbook a film with real heart and empathy for the idiosyncratic nature in all people. A barrage of expletives from the inner-monologue of Albert Markovski (Jason Schwartzman) begins the quirky tale of I Heart Huckabees. Albert is the much beleaguered head of a wetlands preservation coalition who endeavors through poetry and civil disobedience to forward his cause. His methods are naively pure-hearted, which leads his coalition to be overtaken by the flash and dazzle of a smarmy PR representative, Brad Stand (Jude Law). Adding to Albert’s consternation is what he perceives to be a series of coincidences with an African man he keeps meeting randomly. Albert is so curious about the coincidences with the African gentleman that he seeks the assistance of a pair of existential detectives, Vivian and Bernard Jaffe (Lily Tomlin and Dustin Hoffman) to solve his dilemma. The detectives instruct Albert that they will investigate his coincidence issue if they are allowed full access to his life and if he practices certain exercises such as positive visualization and viewing the oneness or “the Blanket” of the universe. The Jaffe’s investigation includes background checks, interviewing family and a lot of comically non-covert surveillance. From the outset of the existential investigation, many truths are revealed to Albert which splinter out and sweep up many others into investigating their own identity and place in the world. Albert is connected with a troubled fire fighter, Tommy Corn (Mark Wahlberg) as his “Double”; a partner to work through issues with. Through the partnership with Tommy, Albert is introduced to Caterine Vauban (Isabelle Huppert), an author who teaches that the universe is empty and meaningless. The opposing viewpoints offered by the Jaffes and Vauban challenge Albert and many others to find their true self. 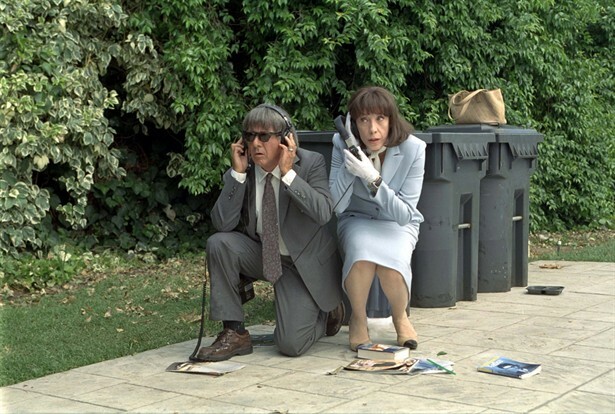 I Heart Huckabees is a rather unusual film, which utilizes pop culture references to illustrate existential ideas. The pop-country singer Shania Twain (playing herself) is used to great effect in conjunction with material longing. The character Dawn Campbell (Naomi Watts), girlfriend of Brad and voice of the fictional Target-style store Huckabees, struggles with her identity and finding her truth beyond the confines of modeling. Animation and exaggerated situations assist in pushing the narrative along, while entertaining and engaging the audience. I Heart Huckabees is an unconventional film which deals with a subject that most people do not think about past their requisite Philosophy 101 class. Through the character’s actions and a great amount of humor the film makes existentialism understandable and provides a story that one will find infinitely re-watchable.